Both Alphabet and Verizon are planning on bidding for Yahoo, sources say. This is on the heels of an announcement saying that the bid deadline for the faltering internet has been extended. Both companies would benefit from acquiring Yahoo’s share of web audience, with Verizon having far more to gain than Alphabet. Alphabet already has Google, and a Google-Yahoo combination would make Alphabet an unstoppable force in the online world. Verizon would go from a major company to one of the biggest, especially because they do not have the same web presence that Google already has. Both scenarios are interesting, and while nothing is even close to finalized at this point, looking at how these moves might affect your trades is going to be helpful, especially as a deal comes closer to reality. Yahoo was once one of the mightiest of the internet companies, surviving the dot com bubble with style. However, thanks a mixture of poor management and being outpaced by competitors when it came to growth, Yahoo’s stock has really suffered over the past few years. The web business has been especially lagging, and this unit is what is being bid upon. How Yahoo will recover and restructure after selling off its core business is unclear for now, but the company does plan on moving forward after this. One thing that has been publicly stated is that CEO Marissa Mayer is looking for a way to both sell the company and stay in control of it. This is not the most popular move right now, though, as many analysts blame Yahoo’s decline on her poor leadership. The biggest benefit would be if Verizon purchased the Yahoo Japan business. Yahoo currently holds a 35.5 percent stake in Yahoo Japan, and if Verizon were to sweep this up, the outcome for them would be huge. 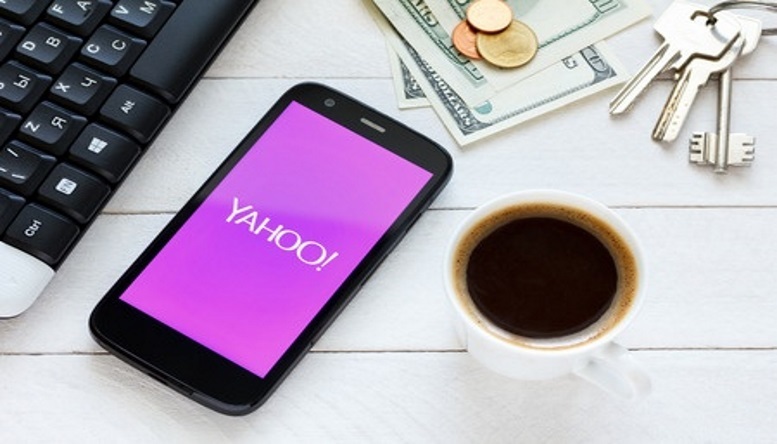 Mobile technology is still a growing business with a lot of untapped potential in Asia, and combining Yahoo’s pre-existing business with Verizon’s smartphone services could multiply Verizon’s worth. Traders—especially binary options traders looking for quick profits off of news events—should be paying close attention to this particular outcome. Not all binary options brokers carry Verizon, but many of the major ones do, which creates a very profitable situation if this outcome were to materialize. Yahoo has solid built in services including email, advertising, sports and news coverage, as well as a large user base. If Verizon were able to tap into this, they would go from the largest cell phone provider in the United States, to one of the largest multimedia companies in the world. That leaves us with Google to think about. Google is the biggest online company out there, and in the United States, Yahoo has long been the number two player. Combining these companies would create a huge market share for Alphabet, and could even have a negative impact on Microsoft, who has been moving closer to the number two position with their Bing division. In reality, the long term impact to Microsoft, who has stated they will not be pursuing Yahoo, would be close to zero. The immediate kneejerk reaction to an even bigger Google might hurt them, but this shouldn’t last. Also, there’s no guarantee that purchasing Yahoo would help Google. They already have the advertising services that Yahoo would provide, so the only real benefit to Google would be acquiring their news and sports sections. Keeping this in-house for Google may or may not help them in the long run. Again, it will be very interesting to see how this works out, but in the meantime, there are plenty of chances that are likely to pop up as a result that can help boost your trading.